The Joint Interoperability Test Command (JITC) of the U.S. Department of Defense Information Systems Agency (DISA) has approved Crestron’s 3-Series DMPS presentation switcher solutions, the first 4K switching and control solution to be added to the Approved Products List (APL). Crestron's 3-Series has been approved by the U.S. Department of Defense Information Systems Agency for depoloyment in highly secure federal government network applications. The 3-Series models, DMPS3-200-C, DMPS3-300-C, DMPS3-300-C-AEC, and DMPS3-4K-150-C, used in conjunction with Crestron’s scalers, receivers, transmitters, and touchscreens are now listed on DISA’s Unified Capabilities (UC) APL based on results of stringent Information Assurance (IA) assessments of the systems, which were approved by the Chief of Homeland Security and Information Portfolio. The Crestron DMPS presentation switcher solutions met the critical requirements of the Unified Capabilities Requirements (UCR). 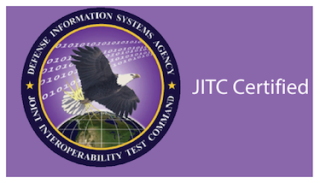 The JITC certification earns the DMPS solutions the highest levels of security clearance and allows its technology to be deployed in highly secure federal government network applications. The products listed on the APL adhere to the enterprise AV standard of Crestron DM 3.0 criteria. DM 3.0 is the standard for enterprise-class video distribution systems. It is the foundation of a Crestron Certified Design, which is engineered and validated to work together, so customers are assured the most reliable, highest performing system. DMPS provides flexible signal routing and high-performance signal processing without the need for separate components. The built-in control system enables complete, customizable control of every AV device, including video capture systems, plus room lighting, window shades, and projection screens–all without requiring a separate control processor. DMPS delivers bit-for-bit, zero latency HD video switching and display. It's fully HDBaseT certified and supports SNMP, CEC device control, and EDID resolution management. Designed to reside on enterprise networks, DMPS provides secure, reliable interconnectivity with IP-enabled touchscreens, computers, mobile devices, video displays, media servers, security systems, lighting, HVAC, and other equipment. The Crestron products that are JITC-certified in conjunction with the 3-Series DMPS presentation solutions include the DM-RMC-SCALER-C, DM-RMC-100-C, DMC-RMC-200C receivers, DM-TX-200-C-2G, DM-TX-201-C, DM-TX-401-C transmitters, and TSW-552, TSW-752, TSW-1052 touchscreens. To learn more about Crestron solutions that ensure secure control and communications in military and government applications, click here or contact Pete Baca, Crestron director of global government accounts.